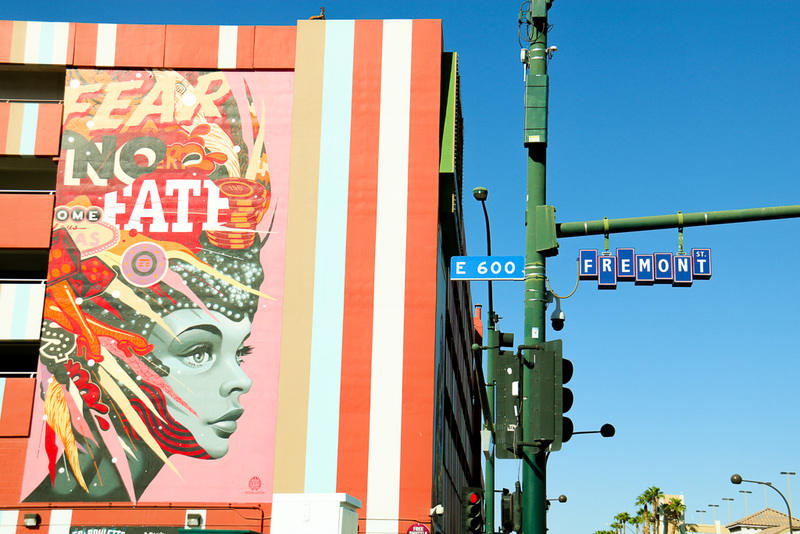 LAS VEGAS — Welcome to Downtown Las Vegas, where 18 city blocks have been closed off for Life is Beautiful’s 2018 Music & Art Festival. There’s an electric feel in the air, as thousands of visitors begin to gather for three days of music, entertainment, art and food. Although temperatures are expected to reach the high 90s, festival goers are unfazed and ready to enjoy everything to come this weekend. Join Editor-in-Chief Allen Pham and Lifestyle Editor Matthew Philips as they document the festivities in real time. And we’re off! “Life is truly beautiful,” said Landon Jacobs, lead vocalist of indie-pop band Sir Sly. After hyping up thousands of listeners with a sing-along at the Bacardí Sound of the Rum Stage, the band wasted no time and began its high-energy performance. 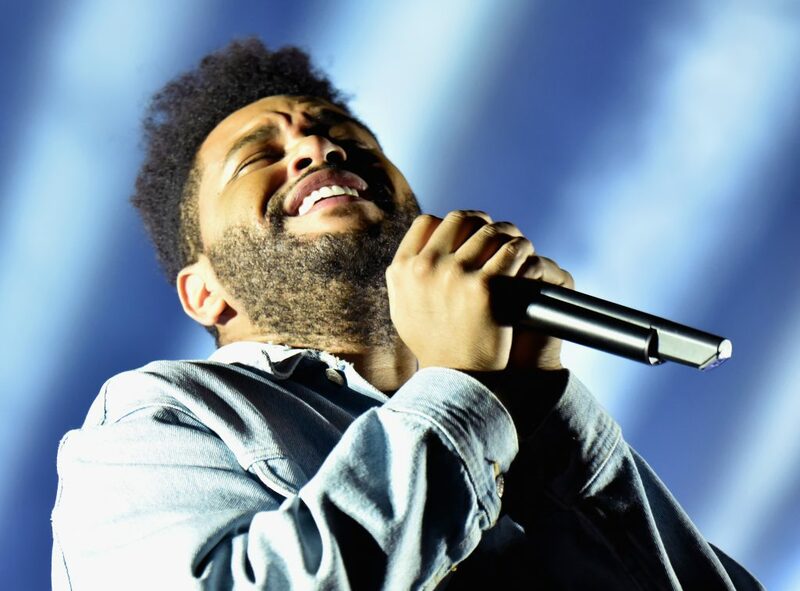 While it was their first time performing at Life is Beautiful, Jacobs and instrumentalists Jason Suwito and Hayden Coplen took center stage like seasoned veterans. Sir Sly broke ground with a passionate performance of “Gold,” a single from its debut album “You Haunt Me.” As Jacobs crooned and pulsed with the music with Suwito, Coplen had his golden moment rocking out on the drum set. Afterwards, the band delivered with “Fun,” “Altar” and “You Haunt Me,” seamlessly transitioning from surly teen angst to melancholy heartbreak. By the end of “You Haunt Me,” the mood shifted once again when Jacobs shared the inspiration behind “Astronaut,” a song he wrote based on a dream he had about experimenting with LSD. Listeners were treated to Jacobs’ falsetto as he passionately sang his verses. 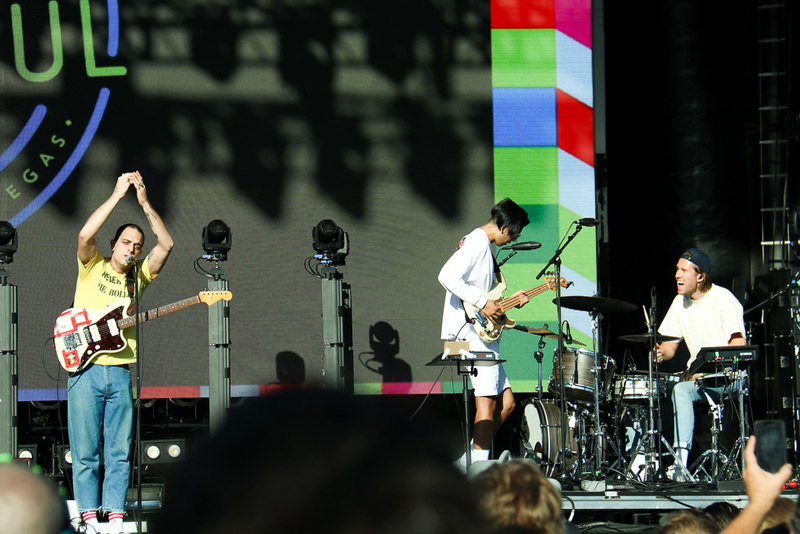 Much like the positivity displayed in sophomore LP “Don’t You Worry, Honey,” Sir Sly’s charismatic performance was a celebration and warm embrace of youth and life. And for the three-piece band, the set was a reminder that maybe music is part of what makes life truly beautiful. Elderbrook turned up the heat on an already scorching afternoon — so much as to neutralize the shade of the tented Fremont Stage. 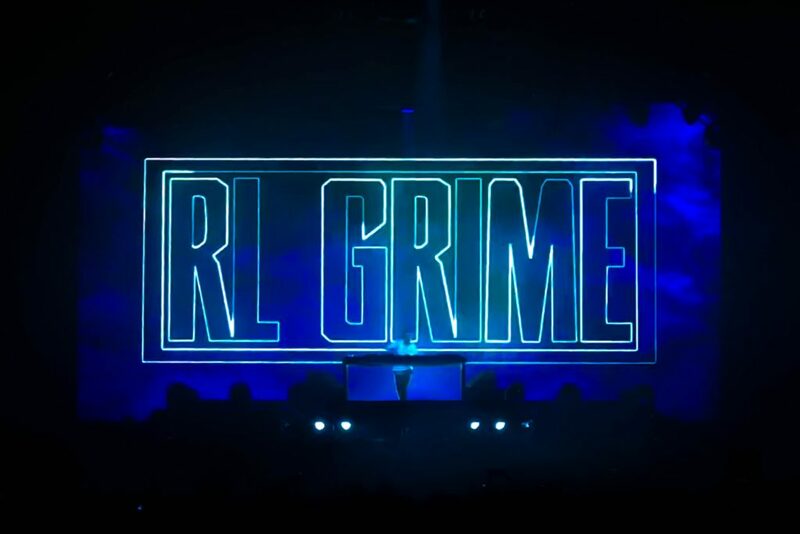 The British DJ more threw a party than performed for an audience. Crowd members turned toward each other and danced, rewarding the British DJ with cheers early and often. As well, Elderbrook took on the difficult task of singing while using his control panel, with no drop in performance to either. His seductive sneer and groovy dance moves proved to be particularly impressive in songs like “Could” and “Talking.” While the songs seemed a bit formulaic at times, passion and accessibility shined through for a mid-afternoon jolt of a performance. Multi-talented musician Elohim did not hold back during her 50-minute set. The artist teased fans remixes of various hip-hop songs before showcasing her artistic chops with songs from her latest self-titled LP, as well as popular collaborations. 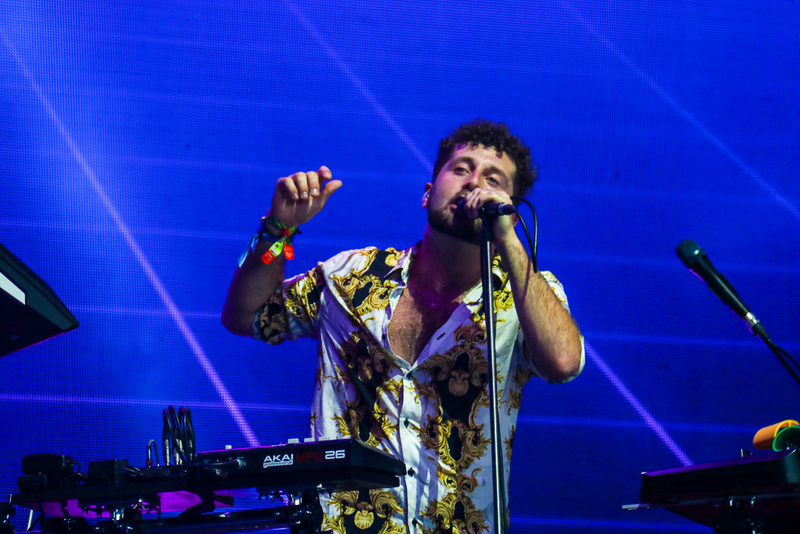 The L.A.-based singer opened with 2016 hit “Sensations” and “Sleepy Eyes,” which was co-created with up-and-coming future bass DJ Whethan. 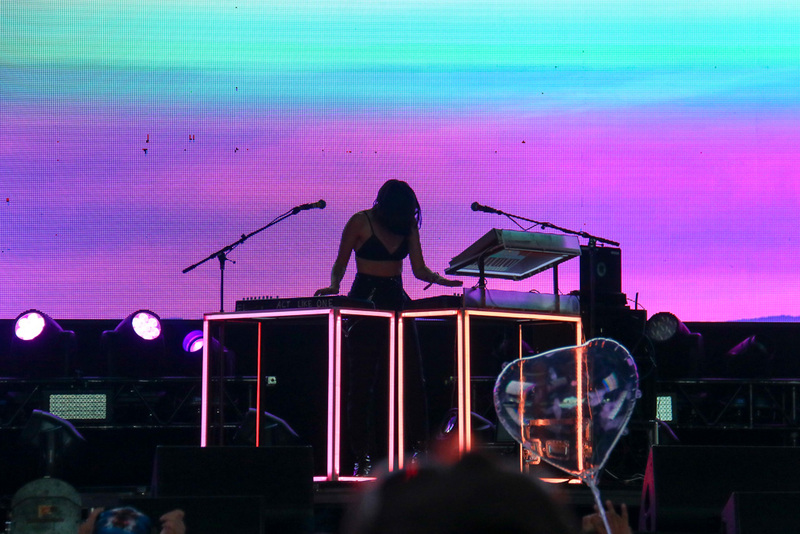 Other songs followed, such as “Love is Alive” and “Panic Attack.” Elohim was effortlessly cool during her performance, mixing and dancing while not missing a single beat. For “Hallucinating,” Elohim expertly pulled psychedelic-inspired visuals that pulled imagery from vaporwave and lo-fi hip-hop. Afterwards, she provided a short mix of classic g-funk singles before starting “F-ck Your Money” to an enthusiastic barrage of raised middle fingers and cheers. She came out from behind the sound board to dance with the audience for her final song, “Half-Love,” before retreating off-stage. 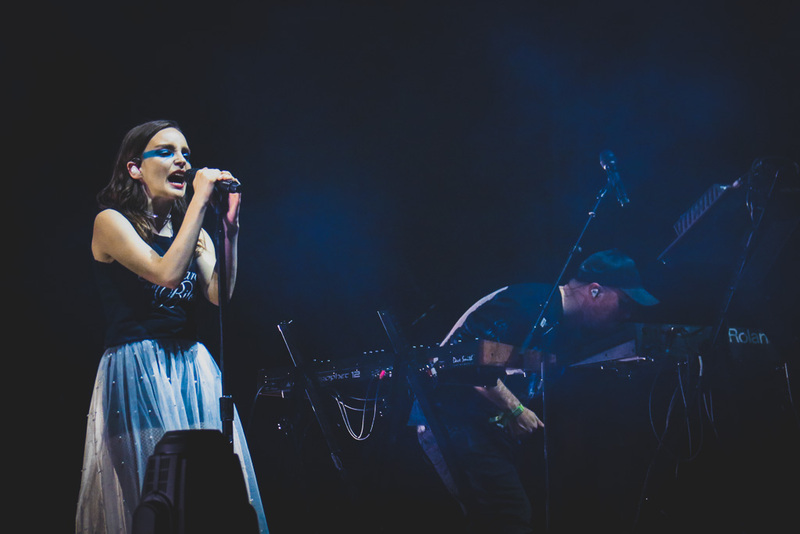 Scottish synth-pop band Chvrches took over the Downtown Stage shortly after nightfall, and their bright, saturated instrumentation lit up what was possibly the largest crowd of the day thus far. Early on, a slow build-up of reverbed drums and synthesizers propelled an emotional performance of “We Sink.” The song’s progressive momentum continued until it concluded with a blast of sound that overwhelmed the senses. Halfway through the set, frontwoman Lauren Mayberry, sporting blue face paint and a shirt bearing “Patriarchy is a B-tch,” took a minute to thank the crowd. She explained that she decided to wear the shirt in honor of President Trump’s visit to the city on Thursday. She also reminisced on the band’s last show in Las Vegas, when they used the day catch a show from Britney Spears’ residency. Chvrches’ Martin Doherty and Iain Cook had matching sets of control panels and keyboards. Each of their setup was fronted by a light resembling a broken crosses. With the pair’s technical abilities and Mayberry’s airy vocals, the band delivered an atmospheric, yet powerful performance to welcome in the rest of the night’s performances. 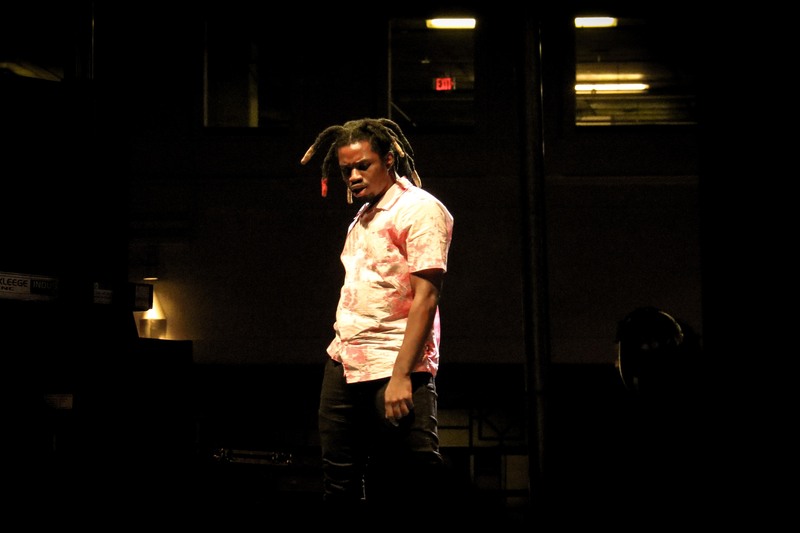 South Florida rapper Denzel Curry showed no mercy in his ferocious performance on the intimate Huntridge Stage. Fresh off of the release of his critically-acclaimed album “Ta13oo,” Curry brought his trap-flavored production and witty, graphic lyricism. 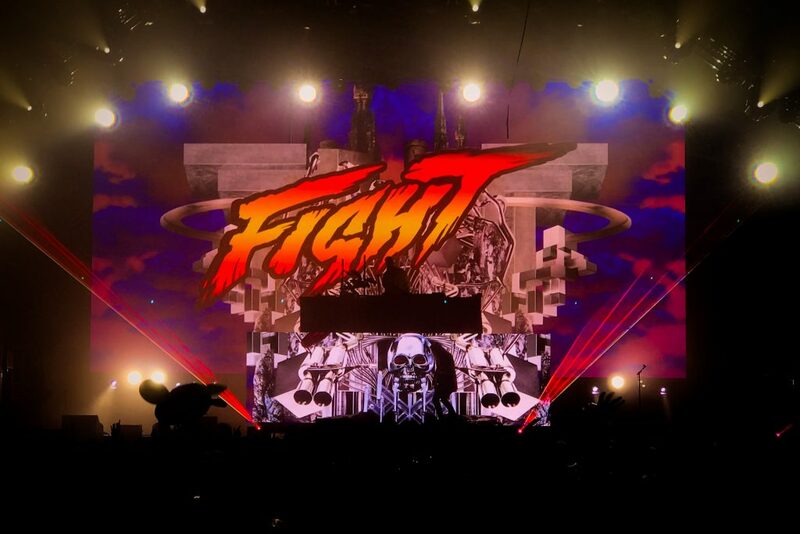 From the very offset, the crowd pocketed their inhibitions and remained rowdy throughout the set, forming multiple mosh pits and jumping up-and-down. Backed by an anime-influenced visual diplay, Curry hopped into aggressive “Ta13oo” standouts like “Clout Cobain” and “Sumo,” never taking his foot off the gas. 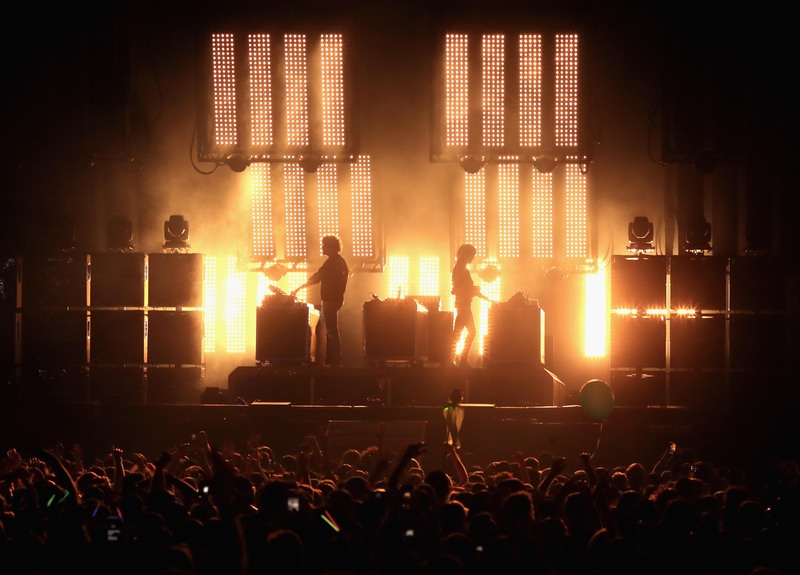 Justice, the acclaimed European house duo, filled the Downtown Stage with lights and energetic mixes in a performance that spanned their 15-year career. Their carefree, if intricate take on traditional house mobilized an audience that had all but exhausted itself from a full day of music. Yet, as the show carried on, the duo failed to provide a refreshing take on their traditional sound and lost the vigor with which the show started. When Justice initially faked the set’s conclusion, many in the crowd had already left, leading to a less-than-ideal finish. Electrifying Fremont Stage after DVBBS’ set, What So Not brought maintained Friday’s high energy with a mix of orginal bangers and remixes. 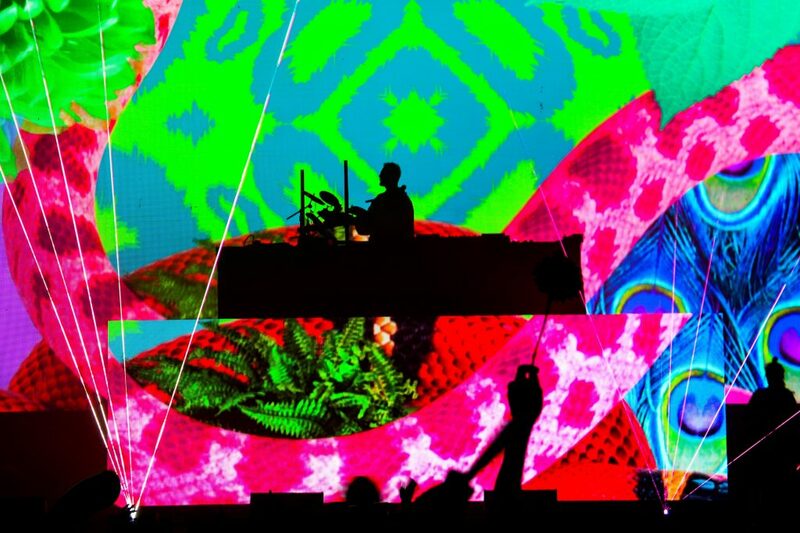 Music producer Emoh Instead had no problem bringing his all to What So Not’s set, pumping up the crowd with a flurry of bass drops, electric guitar riffs and distorted synths.